It’s here! 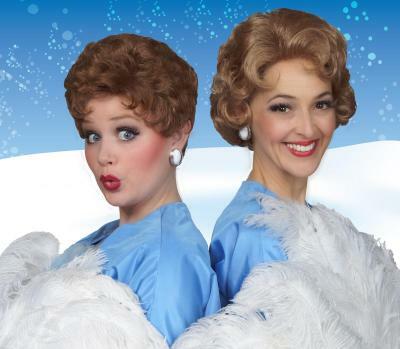 ZACH Theatre’s sensational new stage adaption of the all time best holiday film, WHITE CHRISTMAS. ZACH has done it again. Austin’s Theatre and Texas’ longest running theatre, in the first-ever season in its new Topfer Theatre, presents the Austin premiere of WHITE CHRISTMAS, which is based on the Paramount Pictures film written for the screen by NORMAN KRASNA, NORMAN PANAMA, and MELVIN FRANK. With music and lyrics by IRVING BERLIN, book by DAVID IVES and PAUL BLAKE, musical direction by Allen Robertson and directed and choreographed by NICK DEMOS. Now that’s pedigree. WHITE CHRISTMAS is a film we watch every year. Always have, always will. This year our holiday dreams have come true with the beloved movie musical turning ZACH into a winter wonderland. In this melodious new stage adaptation, two former Army buddies turned famous song and dance men find love with two singing sisters in a snowy Vermont Inn, all the while singing Irving Berlin classics like "Happy Holidays", "Count Your Blessings", "Blue Skies," and "I've Got My Love to Keep Me Warm” and “Something Happens When You’re Dancing, among many others. Frankly, it is a must-see on your family's holiday wish list. Performances: Tuesday-Friday at 8 p.m., Saturday at 3:30 p.m. and 8 p.m., Sunday at 2:30 p.m. and 7 p.m.